Well, I finally have the photos of the cards we'll be making for the Valentine Theme class this Sunday. I finished them the other day, but photographing them and uploading took longer than I'd hoped. As a reminder, if you're interested in taking this class and haven't already RSVP'd, please contact me as soon as possible because the cut-off date for registration is Thursday. I have to be sure that I have plenty of supplies for everyone! If you are interested in the supplies I used for these cards, head on over to my splitcoast gallery to check them out. Thanks for stopping by and taking a look! Well, I'm off to work so that's it for now. 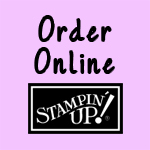 Have a great day and happy stamping! We're getting a lot of snow here...again. So, today I will hopefully have a chance to do some more stamping and some housework that I've been neglecting. I just wanted to quickly let you know that I am going to be teaching a Valentine Theme class on Sunday, February 1st at 2pm at the Community Church of North Orange and Tully. Anyone interested in attending please call me at 978-249-9425 or email me at galetannerdesign@gmail.com. I really wanted to participate in this challenge, so I vowed to get it done before the deadline...and I made it!! Here is the card I came up with and I encourage you to give this a try even if you don't make it in time for the deadline. It just gets the mojo going when you need something to challenge yourself with. Accessories: Chocolate Chip Double Stitched Ribbon, Flower Fusion Accents & Elements, Flower Fusion Accents & Elements Too and Round Rhinestone Brads from the Pretties Kit. Happy New Year! I wish you all the best this year! Sorry for my extremely long absence these past few months. In case you were wondering where I went, here's a brief recount of the past few months for me and hopefully you will understand why I haven't posted in so long. The last time I posted was October 5th, the day that I don't think I'll ever forget. Shortly after posting that morning, I received an urgent phone call from my husband's employer, Hannaford (a grocery store chain here in the northeast). The store manager was on the phone and told me that there was a couple wanting urgently to speak to Ben. Since he was still at home and asleep (he is the Evening Operations Manager) I woke him up and told him that his best friend Cory's parents were on the phone. We knew something must be up for them to call us like that. I sat in disbelief while Ben told me the horrible news that his best friend—the best man at our wedding—was dead. He died just 9 days before his 25th birthday. We were devastated and we still grieve for him today. He was great friend, father, son and brother. I had trouble getting back into stamping for a few months, my inspiration seemed to have vanished. I went to work and spent time with my family, attended the Massachusetts State Grange Session in late October, went on vacation with Ben to New York City in November and adopted a puppy from the humane society. Christmas was good and we enjoyed seeing many of our family and friends for the holidays. I am finally feeling like I'm getting back in the groove and hope to have many samples, promotions and even creative challenges for you this year. I hope you will continue to check back often and while I can't promise that I will post every day, I will try to post at least twice a week.